[fvplayer src="/videos/intro.mp4" src1="/videos/intro.webm" splash="/videos/splash.jpg" splashend="true" autoplay="true" width="640" height="360" caption="Intro" subtitles="/videos/intro.vtt"
So it quickly outgrew the whole concept of shortcodes and it was clear this can't go on forever. These shortcodes become too clunky and fragile. 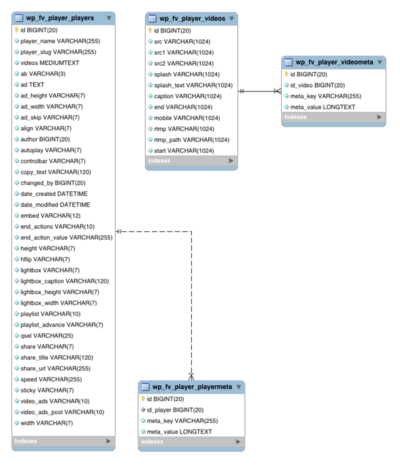 The new shortcode is a simple database reference. Move your typing cursor into it and hit the FV Player button to edit. FV Player WP-Admin screen - appears once you have at least one player stored in database. For programmers it also means there is a new way of interacting with FV Player to set any of the properties. It's a lot more convenient than having to create shortcodes. We will update our programming guide with more information soon. 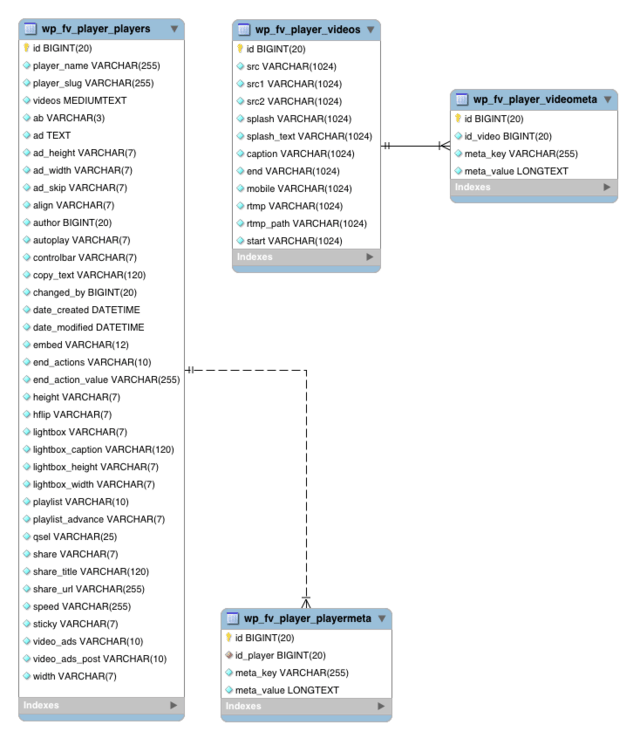 The database model - uses coma separated list of video IDs for player rows, hence the missing link. Now that we have a reasonable database model backing up your videos adding new features is easier and will allow us to support all the features in playlists and not just on single videos. We are also working on an automated splash screen feature and also more powerful timeline actions. FV Player is getting a Roku support too!